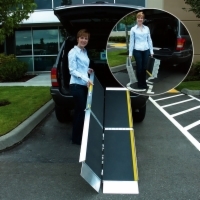 A tri-fold ramp, or multi-fold ramp, folds in half twice so that it is 4 times smaller when stored. It even separates into two pieces, each with their own handle, making it convenient to carry. 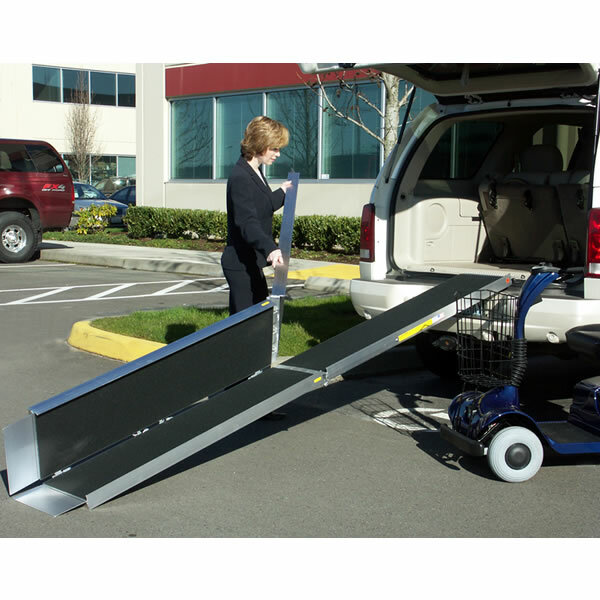 A tri-fold ramp is ideal for taking your mobility scooter or power wheelchair over a large number of steps or loading it into your vehicle. 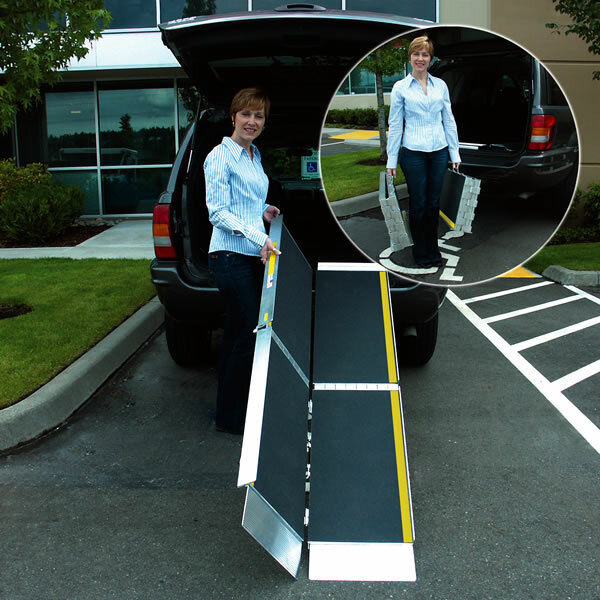 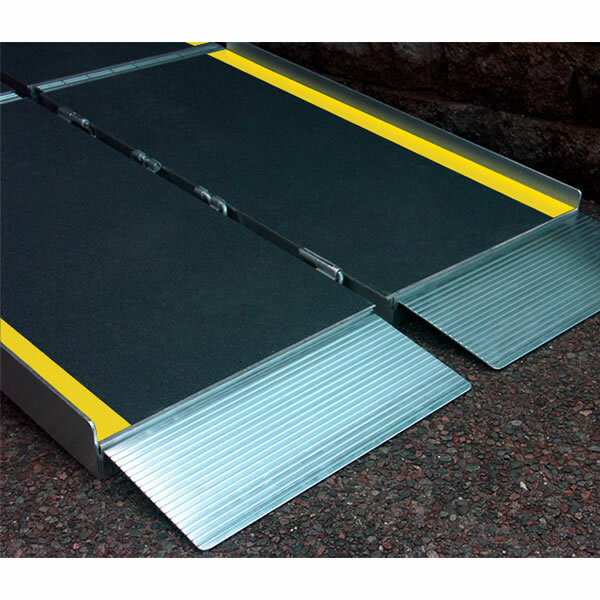 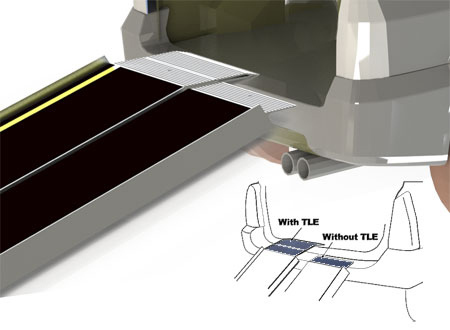 This tri-fold ramp is made of aluminum, comes covered with high-traction tape, and has a 3-year limited warranty.